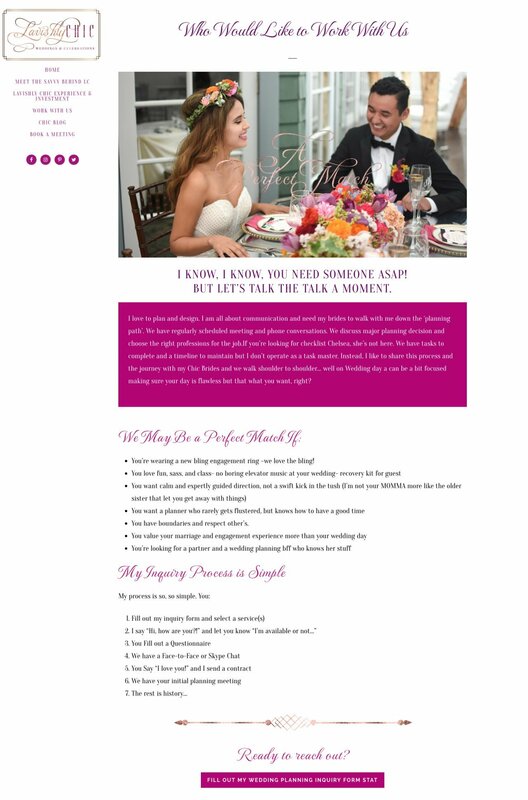 Lavishly Chic Weddings and Events is a Wedding Planning and Event Design boutique that specializes in “magnificent weddings” and their website design conveys that perfectly. Wendy, the founder of the company, approached me late last year for help to build and design her website, but we only got to start early this year. 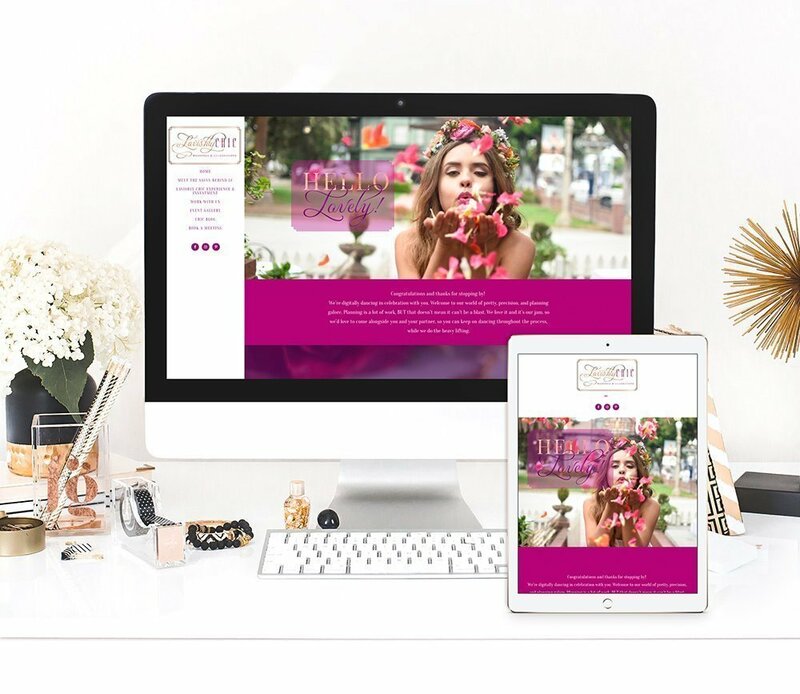 She wanted a warm, welcoming website with vibrant colors and striking images. She chose a unique layout for the homepage, with a fixed header and menu on the left side, with the content scrolling on the right. We also styled the rest of the pages to match her desired overall look. She had fabulous branded imagery. 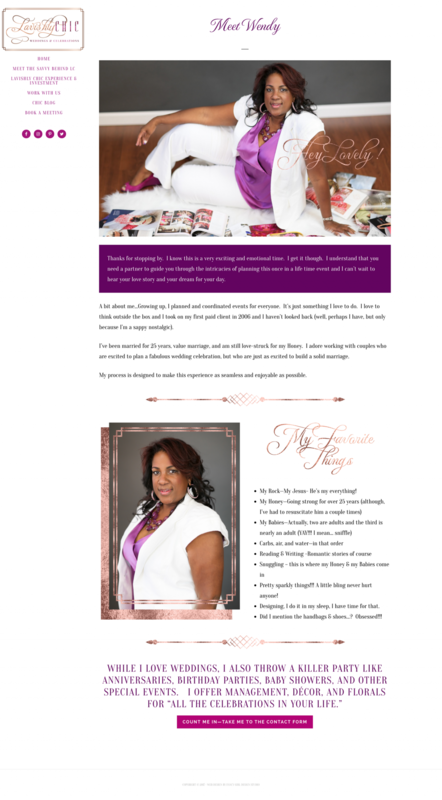 From her headshots to the styled shoot images that we used throughout the site, everything was consistent, and professional. The use of custom fonts for headings. We used the same premium font that was used in her logo (I didn’t design it). A vibrant color palette that tells her brand story perfectly. Design elements that add to the lavish look. With a name like “Lavishly Chic”, you won’t expect a minimalist design. Ease of navigation. Even with all the glamorous details, navigating the website is easy, and you can find whatever you need on the left menu. The unique layout didn’t affect mobile responsiveness.